Startup M&A is changing in Japan. 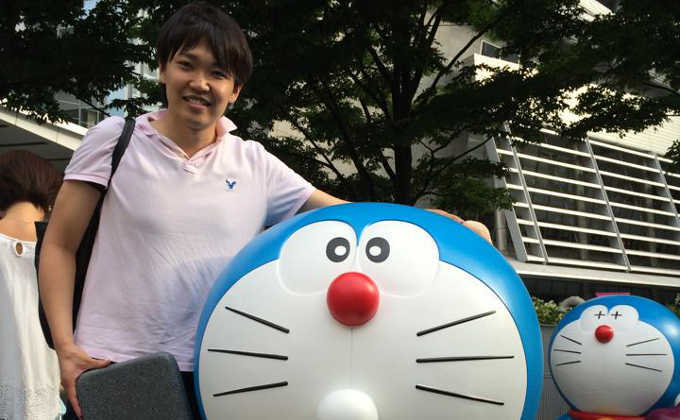 In August, Naoki Yamada sold his startup Conyac to Rozetta for $14 million. It was an unusual journey of alternating cycles of rapid growth and near bankruptcy, and today Naoki explains how he managed to make the deal happen and also how M&A is changing in Japan, and it seems that change might come much sooner than anyone had been expecting. 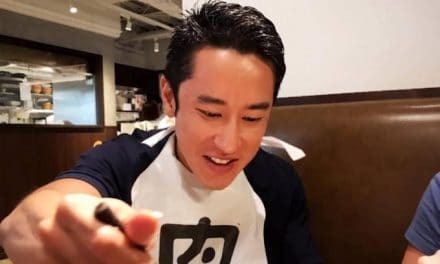 Naoki talks very openly about some of the mistakes he made and give solid advice on how you can avoid making the same ones. And of course, he explains how he handled the negotiations for the acquisition, and why he decided the exit now rather than continue to grow the company. It’s a great story, and I think you’ll enjoy it. Today, Naoki Yamada, founder of Conyac, joins us for a second time. Long-term listeners may remember that he first came on the show a little over 2 years ago and he’s been very busy since then. 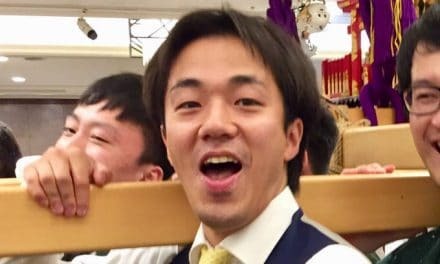 In August, 2016, Naoki sold his company to Rozeta for about 12 million dollars. But that deal almost didn’t happen and today Naoki joins us again to tell us the story of massive growth, followed by near bankruptcy, followed by massive growth, followed by near bankruptcy, followed by recovery, followed by M&A. So you already know the ending but it’s the story that’s important. Naoki talks very openly about some of the mistakes he made and gives solid advice on how you can avoid making the same ones. And of course, he explains how he handled the negotiations of the acquisition and why he decided to exit now, rather than continue to grow the company. But, you know, Naoki tells that story much better than I do, so let’s hear form our sponsor and then get right to the interview. Tim: Cheers. It’s great to see you again. I’m sitting here with Naoki Yamada and we’re going to talk about Conyac. And it’s an exciting story of starting up and growing, and almost going bankrupt, and growing, and almost going bankrupt again, and having a happy ending. So thanks for sitting down with us. Tim: So let’s back up a bit—let’s back up a lot. Tell us about what Conyac is. Naoki: When was the last time we talked? Tim: A little over two years ago. Naoki: Okay. It’s been a while and we’ve changed a lot. We started Conyac as a social translation and we slightly changed our service from customer service to business service in 2013. Tim: So let’s start from the beginning. In 2009, you started it. 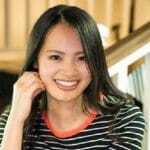 What is consumer translation? Was it like peer-to-peer translation? Naoki: It was more like a community-based translation service. At that time, there were only two options for the translations. One is traditional translation entities and the other one is Google. We wanted to make our service in between those two options, so we asked people who could do the translations outside of the community. We added many translators in our platform and we did translation through those people. Tim: So was it just very small batch translations of 10 words, or a tweet, or that kind of thing? Naoki: Most of the translations are for 3,000 small sentences, like letters and stuff. It worked for pleasure but it didn’t work for business? Tim: Just not enough demand? Naoki: Right. And it was hard to find people who pay for that. Tim: Okay. So once you learned that, you’re saying you pivoted to more of a B2B model? Naoki: Right. It was 4 years after it started, so it took a long time. Tim: It took a long time to realize that. Naoki: Yeah, and since 2013, we supported that B2B service and the sales increased 20 from that point. Tim: At that point, as you were pivoting to B2B, how big was your company? How much revenue? How much staff? Naoki: The revenue was like about $50,000 a month. And the staff at the time was like 10 people. Tim: Okay, so that’s back in 2013. Well, it sounds like you’re on your way. Naoki: In that year, we got investment from several venture capitals and we used a lot of money for the people we hired. Tim: That’s what start-ups are supposed to do. 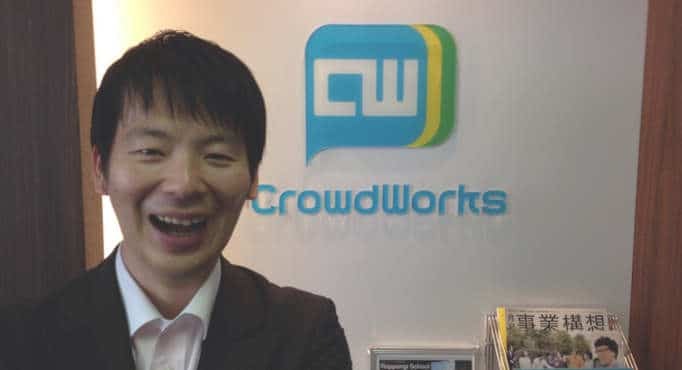 Naoki: I was thinking that if I had more people, we can raise more sales and revenue, but I did not know. Tim: Okay, so how big was the round? Naoki: It was not that big for the current variation. It was like 0.6 million dollars. Tim: Okay, $600,000. And you went out and you hired how many people? Tim: Oh, wow. So you went from about 6 people to 20 people. 20 people, that’s a lot of people for 600,000 investment. Naoki: For that much revenue. Tim: You had to be burning through cash. How did you do that? Let’s talk about that because that is—having to hire that many people in how short a timeframe? Tim: So what kind of people were you hiring? Mostly sales staff? Naoki: We hired a couple salespeople, and also we hired engineers. It was good to create new features but it didn’t lead to the sales, so that function, it lead to that real money. Tim: So the engineers were generating new features but it wasn’t helping to drive revenue. When you’re growing that fast, how do you maintain a corporate culture, when you triple the size of the company in one year? Naoki: It was a big mistake I had. I didn’t think that much about the culture and stuff, so everyone thinks differently and teams were spreading into many parts. Tim: So different teams just going in different directions? Naoki: Right. After a year and a half, many of the members decided to leave the company because of a lack of culture, and a lack of a big vision. And at that time, we decided to pivot ourselves a bit to more like a general crowd sourcing service. It was a crowd sourcing translation service at that time and we decided to a more varying kind of service, so that we can order things besides translations, like research, marketing. Tim: So if someone wanted to create blog posts? Tim: But I can understand that, right. The company is pivoting a bit, you’ve got different teams going in different directions. So how did you try to pull it together? Naoki: Actually, we couldn’t get it together. The teams were about to explode and many people left the company. Less than 10 people were left. Naoki: Going down to about 6 people again. Tim: So the people who left, was that people who left because they were frustrated and tired, or did you have to lay people off because you were running out of money? Naoki: I was actually not laying off people. They left. Tim: They left? But you didn’t hire replacements for them? Naoki: It was hard to replace people because we were actually losing money, so if we replace people, the money went. Tim: I can imagine this is a very frustrating situation. Naoki: Right. For about one year, it was tough. Tim: So you went to 6 to 20, to 6 again. Was it the same 6 people? Naoki: No. Only a couple people were the same. Tim: That sounds like a really difficult thing to go through. Looking back at it, now that you’ve kind of come out the other side, what would you do differently? Naoki: I could do many things differently. If I were there right now, I would just create a culture and tell people more about what we are doing and why we are doing that kind of stuff. Tim: So communicate the vision and the activities? Tim: Well, believe me, I understand. A lot of it is, as a CEO, the job is very stressful just by itself and sometimes talking to staff, talking to all the staff, it always seems like something you can delay. You can do it next week or there’s no urgency to it. Naoki: And also I was actually considering that the money is—we were losing a lot of money so I was thinking to get investment, I mean in the next round, at that time. So I was talking a lot with the investors, so I didn’t have that much time with the members. That was my excuse. Tim: So did you know things were going wrong or did you just have not enough time to deal with it? Naoki: I was noticing frustrations but I was not looking at it directly, so that was my biggest mistake. Naoki: Talking with the members. Tim: Deal with the members, first priority. Okay. At this point, you’ve pivoted a bit, you’re doing translation, you’re doing general bilingual content creation, you’re back down to 6 people. What was the company looking like? What were your revenues? Naoki: We were almost bankrupt at the time, within three months or so, then one of the sales members got a big deal from a big company and then we survived. That was the biggest deal for our company for the whole 7 years, I guess. Tim: Did you have to take on more staff to execute this deal or was it something that was more, pure revenue? Naoki: It was pure revenue for us. Tim: That’s awesome. So what year was this? Tim: 2015? Okay. So 2015, things are starting to look up again, you’re getting revenue. What made you think about selling at this point? Or were you thinking about selling at this point? Naoki: We were actually talking with many companies at that time about the next round of the investment, also M&A. Tim: So what happened? It sounds like a very narrow escape, you’ve got enough revenue so you’re not going out of business, you’re out shopping for new investments, and chatting with M&A. What happens next? Naoki: I was actually talking with many companies and spent a lot of time in discussions, but things are working concurrently because you have to learn the business as well. So I was doing the sales by myself as well. Things started to move faster at the end of 2015. We got many big clients at that time and we could increase sales and revenues from the end of last year. So it is well and many companies are starting to have interest in our company. So I talked to more companies about M&A, a good company to tell. Tim: So at that point, were you trying to get acquired or were you trying to raise a round? 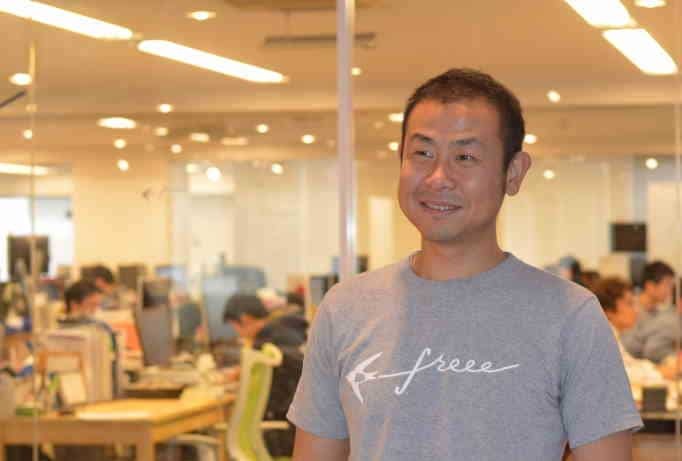 Naoki: I thought it was just a way of getting our business bigger, IPO or M&A, whichever option is just a way of getting money or making our company bigger. Tim: That makes sense, but I mean, from you guys, as a founder, you were finally hitting a good growth period at the time of M&A. You were doing about 5 million U.S. dollars in revenue, you were turning a profit, over almost 3 million dollars in profit, so what made you decide to go with the M&A route, rather than another round of fundraising? Naoki: I thought it would take time to go for IPO. It would take like a couple years, so it will take time and the market is expanding right now. Also, the inbound things are getting bigger and bigger right now, so I think it is time for us to go to the next stage right now, and if I go with the fundraising, will take time. Tim: So you didn’t want to try to double the company in a year and sell it for twice as much next year? Tim: You were looking for that exit. Naoki: Right. I was to desiring to focus on the business itself. I was not able to focus on what we were doing for like a year. Naoki: Right, you were in constant fundraising mode for like a year. Tim: Right. A year and a half. So I guess it was time for me to pass on the business. Tim: Okay. That’s true. People think of these, whether it’s M&A or IPO, they tend to think of them as strictly financial decisions but they’re not just financial decisions. There’s a very real human cost involved. Naoki: Right. And also, many good companies who I thought had a lot of synergy, so that is not the biggest. Tim: So you sold to Rozeta. How did that deal come to be? Did you originally approach them for investment? Did they approach you, saying they’re interested in buying? How did the negotiations work? Naoki: I met many companies and I was approaching it as fundraising. I told them I was thinking of raising some money to grow the business. And during the talk, they interceded in acquiring us, and I decided to switch to more on M&A. About Rozeta, I reached that company from the banking interest. As I met them in early May, we briefly started to talk about M&A from late July. Tim: So that deal was done very quickly. Naoki: Yeah, it was first like, couple of weeks. Tim: That’s astounding. Now M&A in Japan is still—I wouldn’t say unusual—but it’s not as common as it is in the U.S. So let’s talk about, what did they want? What were they worried about? What were they excited about? I’m sure all start-up founders in Japan want to know this. Tim: They can’t find the start-ups to buy. Well that’s a bad situation. But once you started negotiating, was the negotiation mostly about price? What was Rozeta most worried about in the deal and what were they most excited about in the deal? Naoki: Rozeta is doing massive translation and also the traditional translation and they didn’t have in-between size. So they were very excited about putting crowd sourcing staff in between their businesses. That is the biggest decision that they decided to acquire us. They didn’t worry about the price. They went IPO last year and they didn’t acquire that much companies yet, but still they are not worried about the price. Tim: So they had a lot of IPO money they wanted to spend? Naoki: Not actually. They used up most of that asset they have for companies, so it was a big challenge for them but they didn’t worry about it that much. Tim: What about the Conyac team? Did they know you were negotiating for M&A? Naoki: No, I guess they were thinking that I was not doing anything at the time. Tim: That’s not a good situation. Naoki: I was in my studio. I was getting fundraising. Tim: So they didn’t know at all? Well that must have been very stressful for the team? Naoki: It was very stressful for me. They were doing their jobs every day. Tim: So the team found out after it was done and you announced it to them? Naoki: The morning of the disclosure, we had a whole team meeting. I talked with them. Tim: What was their reaction? Naoki: They were surprised, but they seemed like they were happy about the deal. Tim: Just it feels more stable? Tim: Well, what about you? What was your feeling after you finally did it? Naoki: The biggest feeling was relief. I was relieved about I don’t have to raise money and I don’t have to talk about M&A no more. Tim: So it was more a feeling of relief than happiness? I can understand that. Naoki: Yeah. It was hard too. After a month or so, I was a bit stressed out about the merger. It’s a public company and we are a private company so many of the rules and stuff are different. But right now it was okay. We got many changes and we are focusing on more on businesses. Tim: That’s great. So the attitude towards M&A in Japan is changing? Naoki: Yeah, I guess, yeah. Tim: When I sold my first company back in 2001, all of my American friends called me up and said, “Congratulations! That’s great news. Let’s go have a beer,” and all of my Japanese friends called me up and said, “I’m so sorry. I know you were working so hard on this and you had to sell. Let’s go get a beer.” I drank a lot of beer that month. What was the reaction of your friends and the people in the community? Was it positive? Negative? Naoki: It was positive. Most of my friends are positive reactions, especially entrepreneurs. Also my family was really happy about my decision because I was working so hard for like a year. Tim: I was going to ask, were they happy about the money, or were they happy about just your stress level had been released. Tim: So how has the post M&A integration gone? Has it been pretty smooth? Naoki: Yes. We still have some stuff to be done, like documentation and stuff, but everything seems well. Tim: Everyone kept their job? Tim: Cool. So how has your job changed since M&A? Naoki: Now, finally, I start to focus on the business, new features and stuff, so I’m happy about it and I can sleep right now. Tim: You don’t have to worry about payroll every month. Are you guys working in the same office? Did they move you into their offices? Naoki: No, before the M&A, we talked about the cultures and stuff, and the culture is totally different so we were asking them to keep our office and they were okay with that. Tim: Oh, that’s good. That’s smart. That’s really smart. Naoki: Well, there’s pros and cons. Tim: Well, what are the pros and cons? Naoki: Some of our friends who did M&A moved their office to the acquiring company but the point of changing the office together is they can communicate well about, if they have a business synergy, it would be better in the same office. But to keep the culture, you probably need to keep those separated. Tim: So how does it work now? Do different members of the team meet with the Rozeta people or is it just your or the main interface between Rozeta and the team? Naoki: Salespeople are meeting with other people. And they will be more close company staff. Tim: So it sounds like the integration is, they’re taking it very slowly. That’s probably best for everyone. Tim: That can be hard. What would be the best advice you can give to large companies who have acquired a small one and want the integration to go smoothly? Naoki: They need to understand that start-up companies, it’s like a slow culture and stuff, so they need to respect that. And entrepreneurs are usually selfish and they need to understand that. Naoki: For the first few months at least. Tim: Well, that’s probably the most comfortable way that companies can work together. If the owning company just says, “Okay, here is your objectives for the next 6 months, and here are your resources to do that,” that seems like that would be the happiest way for the start-up side. Naoki: Yeah, I guess, but it depends on the—some people like to be controlled and some people dislike that. Tim: I think most entrepreneurs dislike the control. So they’ve let you maintain your culture, your processes. They’re not making you use ringisho or anything? Tim: That’s good. So what’s next for you? Are you going to stay at Rozeta for years and years? Are you going to start a new company sometime in the future? Are you going to start investing or mentoring? What are you going to do? Naoki: Right now I’m not thinking about starting up a new company. I’m still very excited about Conyac business. I believe that Rozeta and our company can be bigger, 10 times bigger, within like 5 years, so I will keep doing this business for a while. Tim: That’s good. That kind of focus is really good and really rare in acquisitions, especially now that it’s been about 4 months. In the first month or two, everyone says that, but after 4 months, you sort of know what you’ve gotten yourself into. Naoki: But I have many interests about markets. So I will probably invest some money to other companies, small amount, but I can tell a little bit about how to maintain their start-ups. Tim: I think right now, one of the most important things in the start-up community in Japan is having entrepreneur investors because most Japanese VCs are finance people. They never worked in a start-up. Most have never worked in a regular operating company. So I think that’s great you’re going to be out there investing and advising. Naoki: Many of my senpai entrepreneurs are doing investment for that existence and I respect that activity. So I think it’s a good thing to do. Tim: Have you started yet or are you still heads down in the integration? Naoki: I can’t tell right now. I believe that there is a sentence that I cannot do a side business. Off the record. Tim: I got you. SO we’ll just say you’re looking at start-ups. Well, listen, before we wrap up, let me ask you my magic wand questions. And that’s if I gave you a magic wand and I said you could change one thing about Japan, anything at all—the attitude towards risk, education system, legal system—to make things better for start-ups, what would you change? Naoki: Probably culture. It’s an education. Naoki: I spent time in the States as a student and felt that the education system is totally different. In the States, many people are starting stuff actively. Naoki: Right. They argue and they try to get something from every single moment. But Japanese education, you sit and listen. That’s the biggest problem you have. Tim: You’re right. That’s almost the exact opposite of the founder mind-set. Naoki: Right. In the current education system, it would be hard to grow the entrepreneurship mind. Tim: I hear a lot of people say exactly that, including politicians and educators. Do you see it changing? Naoki: Yeah. But you need to have something—radical change has to be done. Tim: Everyone talks about creativity but it sounds more like the important thing is proactive, doing things yourself. Naoki: You need to think logically and speak up about they think. Tim: Where there’s no right or wrong answer. Just action. Tim: All right. Well, listen, is there anything else that you want to talk about? Naoki: I’m not sure what success is but i think our M&A is not that big. But after that M&A, it is more important than before M&A. Because money is not everything. You have to think about the future in 10 years, 20 years from now, if the status is still there, your businesses might be successful. If you make changes to the market and society, maybe you are successful. But I guess you have to think about the impact and why you are doing it. Tim: Okay. Well that makes sense. Additional money would help you grow a bit faster but being part of Rozeta, this bigger company, allows you to achieve your real ends much more efficiently. Naoki: Right. And impact to society might be changed. Tim: All right. Excellent. Well, listen, thanks again for sitting down with me. Let’s not wait so long next time. You know, strategic M&A is still relatively rare in Japan. Most acquisitions are of distressed companies, so I found it both surprising and hopeful that Naoki’s experience was that many public companies were interested in strategic acquisitions of start-ups and that the problem was more about them being able to determine what start-ups were potentially for sale. Now this is something that be easily solved when, or perhaps if, Japanese investors start taking a more hands-on role in shopping for exits, rather than simply pushing their portfolio companies to IPO as soon as possible. It could be great news for Japanese start-ups. It also seems that Rozeta is being very smart with its post-acquisition integration plans. 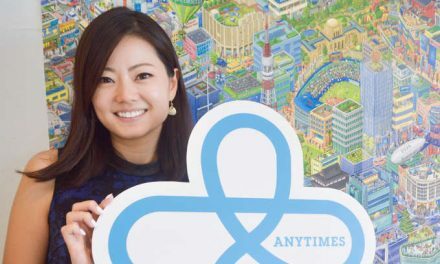 Most Japanese companies don’t handle the integration well and simply place the start-up under several levels or corporate management and begin treating everyone as junior to mid-level employees. It usually doesn’t end well. Rozeta’s taking a different approach. Rozeta’s working closely with the Conyac sales team and with the key executives, but they’re having the Conyac team continue to use their old offices, with their existing processes, and to maintain the corporate culture that led to Conyac’s success in the first place. If you want to know more about Conyac or M&A in Japan, Naoki and I would love to hear from you. So come by DisruptingJapan.com/show065 and let’s talk about it. 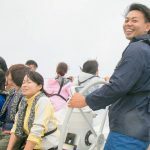 When you drop by, you’ll find all the links and sites that Naoki and I talked about and much, much more in the resources section of the post. And when you get the chance, be sure to check out Disrupting Japan Inroads. It’s a detailed, real-world case study of Japanese market entry and expansion, and a look inside the minds of some of the best people bringing foreign technology into Japan, and it’s a perfect complement to this podcast. So check it out at DisruptingJapan.com/inroads, but most of all, thanks for listening and thank you for letting people interested in Japanese start-ups know about the show. Great podcast. Surprised to hear that strategic M&A is still relatively rare. Good to hear a success story. Thanks for listening. Yes it’s still rare here and Japanese companies do a horrible job in integrating the companies they buy. I suppose, however, it really is a matter of experience. Companies, like people, learn by doing, they will get better at integration the more M&As they do. Things never move as fast as I would like them to, but the trends seem to be in the right directions.